Mt. Crested Butte, CO – It’s time to get funky this spring at Crested Butte Mountain Resort (CBMR), as it hosts the annual Ski Town Breakdown on Saturday, March 18. Now in its seventh season, this year’s show brings in Colorado jamgrass revolutionaries with Crested Butte roots, Leftover Salmon. The concert is free for all to enjoy springtime sunshine and Colorado music after a great day on the slopes. Ski Town Breakdown starts around 4:30 p.m. on March 18, giving everyone plenty of time to ski and ride, and then celebrate the day with a beverage, warm sunshine and live music. 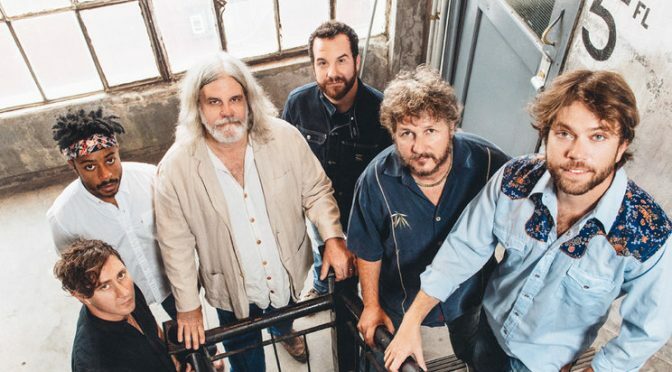 Formed in Boulder over 25 years ago, Leftover Salmon’s form of aggressive bluegrass helped them become a pillar of the jam band scene and unwitting architects of jamgrass. Celebrated as one of the most energetic and innovative mandolin players in Americana music, Drew Emmitt is back to play in his hometown of Crested Butte. Emmitt has played several times at CBMR over the years with members of the band as well as many talented friends. Those looking to spend the weekend will get an additional night’s lodging and a day of skiing for free. Purchase two nights of lodging and two days of lift tickets as a package between March 17 and April 8, 2017 and receive a third night of lodging and third day of skiing for free. Minimal blackout dates may apply. For more information and to book visit www.skicb.com/deals.